The 2017 KTM RC 390 and the 2017 KTM RC 200 were showcased at the Intermot 2016. 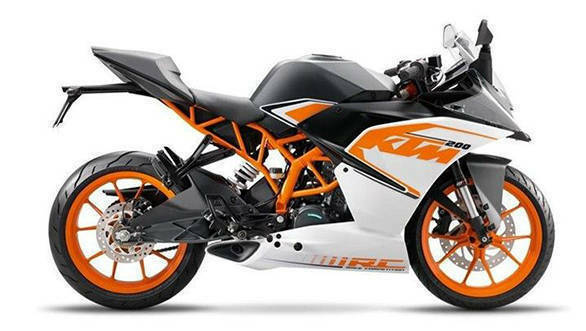 The 2017 KTM RC range will be launched in India on January 19, 2017. The 2017 RC series will introduced first followed by the 2017 390 Duke. Both the 2017 RC 390 and the 2017 RC 200 have not received any mechanical updates. The only updates are new body graphics and a smaller underbelly which improves ground clearance. 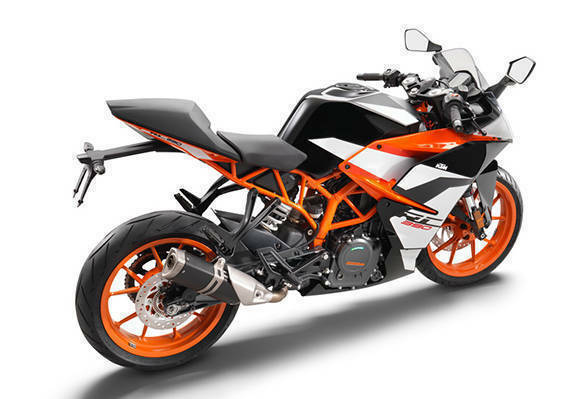 The 2017 RC 390 gets a side-slung exhaust, and it is now compliant with Euro-IV emission norms. The RC 200 retains the underbelly exhaust. The KTM RC 200 retains the 199.5cc single-cylinder liquid-cooled 4-stroke engine which makes 25.85PS of power and 19.20Nm of torque. The engine comes mated to a 6-speed gearbox. The 2017 RC 390 retains the 373cc single-cylinder liquid-cooled engine which makes 43.5PS of power and 35Nm of torque. The engine is coupled to a 6-speed gearbox. 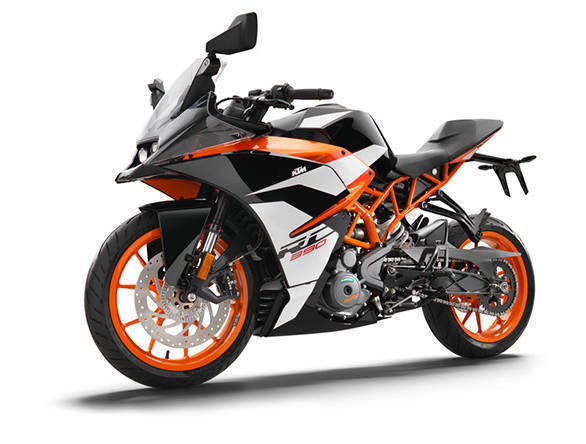 The 2017 RC 390 sports an attractive mix of orange, black and white body graphics. The rear panel gets RC 390 badging. It will continue to be offered with a slipper clutch, ride-by-wire throttle and ABS as standard. The 2017 KTM 390 Duke has been spied in India. It is expected to get an all-new frame as well as a new engine. The fuel tank is also new with bigger and sharper extensions. It gets a split LED headlamp along with LED indicators. It also gets bigger 320mm Brembo brakes.